Is a Dress Code Necessary in Golf? Our Golfers Share Their Opinions! Golf: Is a Dress Code Necessary? 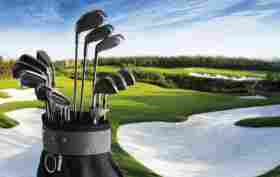 Golf has a long and rigid tradition base that dates back even earlier than the 19th century. To put it into a time perspective, in 1860, the British Open was conceived and completed for the first time. Many of the traditions from these days of golf are still deeply rooted in the modern game. No exception to this rule is the golf dress code. While not every golf course in the world has an established dress code, many of the higher scale facilities still embrace this tradition. Likely a mechanism to keep the traditions alive, maintain the integrity of the game, and to avoid modern day golf from morphing into a hybrid sporting activity, these dress codes, and other long living traditions, provide a foundation in which to keep golf the same as it was back in its inception. 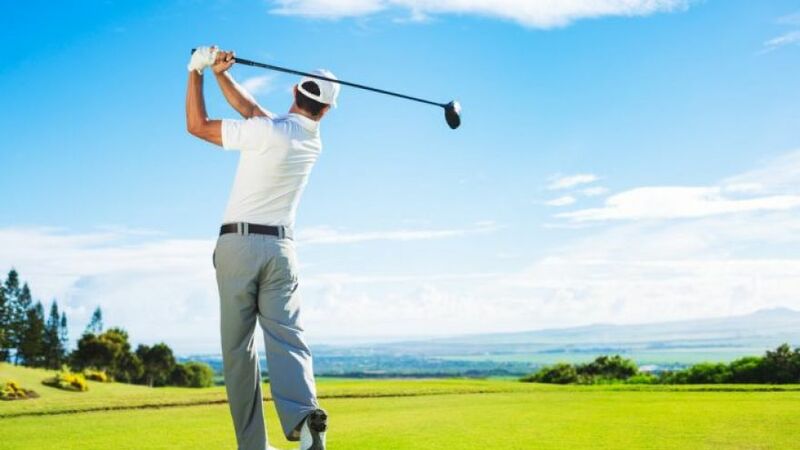 While varying in strictness and requirements, a typical golf dress code will require all males to wear a collared shirt and dress pants or shorts. Women are typically expected to dress in business appropriate attire, sometime with or without collars, but always on the side of promoting modesty. For bottoms, women usually will have the option of pants, skirts, or skorts (combination of skirt and shorts). On the other hand, some courses will have simplified rules of dress; for example, the prohibition of denim attire. There is a large variance that runs the gamut of strictness. The only way to know for sure if the course you plan on playing adheres to a golf dress code is to contact them beforehand. With that in mind, the question remains as to whether dress codes are necessary and do they really matter? With recent discussions about whether or not golf dress codes actually prevent newcomers from discovering the game, it bears discussion as to whether the codes are doing more harm than good for the game. Golf has always been viewed and perceived as being a classier game. This is likely thanks to the traditions that have been passed down for generations. Enforcing these traditions and holding steadfast on flexibility tend to assure that the elegance of the game remains. It will prevent the degradation of the game by limiting the ability of trendsetters from infiltrating and changing it for the worst. Opponents of golf dress codes will argue that this outdated tradition is unnecessary and catastrophic to growing the game and hindering golf’s growth. Even though society norms are dynamic and change frequently, golf is not keeping up and accommodating this mentality. This creates a lack of interest among those who are seeking a more modern day atmosphere in their extracurricular activates. In contrast, other sports have modernized themselves as society changes. For example, look at the evolution of basketball. Gone are the days of high tight shorts and tight tank tops. Today, you will see players wearing baggy shorts and loose fitting tanks as a standard uniform. Is it golf’s resistance to change that is the problem; or is it the new golfer’s reluctance to embrace and cherish the traditions of old? Golf’s long standing traditions have established a common code of conduct and respect for the game that makes the game unique. Relaxing of these traditions may very well foster a degeneration of golf as we know it. If the traditional dress code is put out to the pasture, there may be more interest in the game, however, as one tradition is lost, others will soon follow. Do we want the other traditions of golf to disappear, as well? Do we want to lose the distinctive feel of golf as we know it? The game we know represents respectable characteristics, such as courtesy, professionalism, and class. With blackjack online, you get to experience an intense and more exciting game which you normally can’t in a typical casino setting https://www.topnewcasinos.co.uk/online-blackjack. Is it desirable to see the sand traps being left unraked? Do we want to lose the common courtesy of quick play? How about the tradition of replacing divots for those players coming in behind you? What would golf be like if the silence that proceeds the swing of a player goes away due to the “outdated tradition” argument? Do we want to end the “tradition” of yelling “FORE” when your errant shot has put the safety of another at stake? Golf has a uniqueness that lends itself to stand out from other sporting activities. The game is structured and regulated, creating a euphoric, distinctive feeling upon the course. It provides an escape from reality which is difficult to find in the world today. This uniqueness is what makes golf the game it is. It is these traditions, while questioned by some, that creates that uniqueness. For the sake of tradition and dignity of the game, the golf dress code must remain an honored tradition of golf.